'A Recipe For Safety' is for everyone in the industry, including workers, supervisors, managers, directors, health and safety professionals and health and safety representatives. 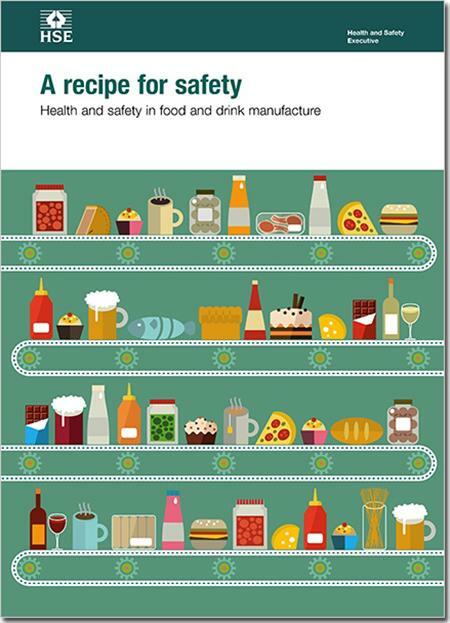 The guidance covers the main health and safety hazards in the food and drink industries and gives practical advice on how to manage the associated risks. It provides a 'one-stop shop' reference document with links to more detailed guidance. The food and drink industries comprise around 30 different manufacturing sectors such as bakeries, meat and poultry processing, drink manufacture, dairy processing, fish processing, chilled food production, vegetable processing and grain milling / animal feeds. The previous edition was published in 2005. This latest edition has been revised by HSE and a working group of the Food and Drink Manufacture Health and Safety Forum. So, not only has it been updated, but this time it has been written by the industry for the industry. This means that the content is even more relevant and accessible to all those working in the food industry. This edition also has an increased focus on occupational health, which is a very important focus for the food industry.